I was born in Japan, then moved and lived for a while in San Diego. My main inspiration is Japan; I love the minimalist Japanese aesthetic- less is more. Additionally I love the art of Ellsworth Kelly. Luckily my work (leather making) is my main hobby. In addition I love pursuing thrift and vintage shops. I also enjoy yoga, reading and cooking. I specialize in small leather goods for women and men. Mainly wallets, clutches and cross-body bags. I also have a few other items such as leather wrapped candles (I partner with a local Orange County maker), leather key rings, macbook sleeves and even mouse pads. Something fun I offer at my pop ups is custom stamping of key rings and wallets – I have both roman letters and Japanese characters too. It adds a real custom and unique touch to any item. I can’t say I’m most proud of any one item I make – I put my heart into each item and hope the owners can feel that. 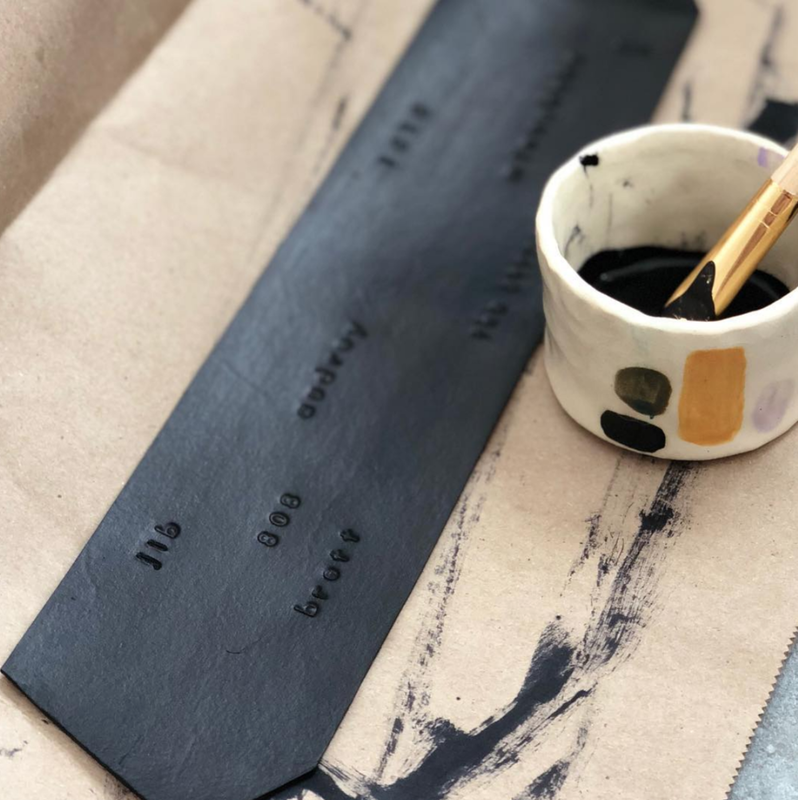 I would say that because I alone hand make each and every item it sets me apart from any leather accessory mass produced by a factory or workshop that has employees – not that they can’t make great stuff. A few years ago I saw that leather tassel accessories were becoming popular and the prices were very high. I thought to myself… I could make that! 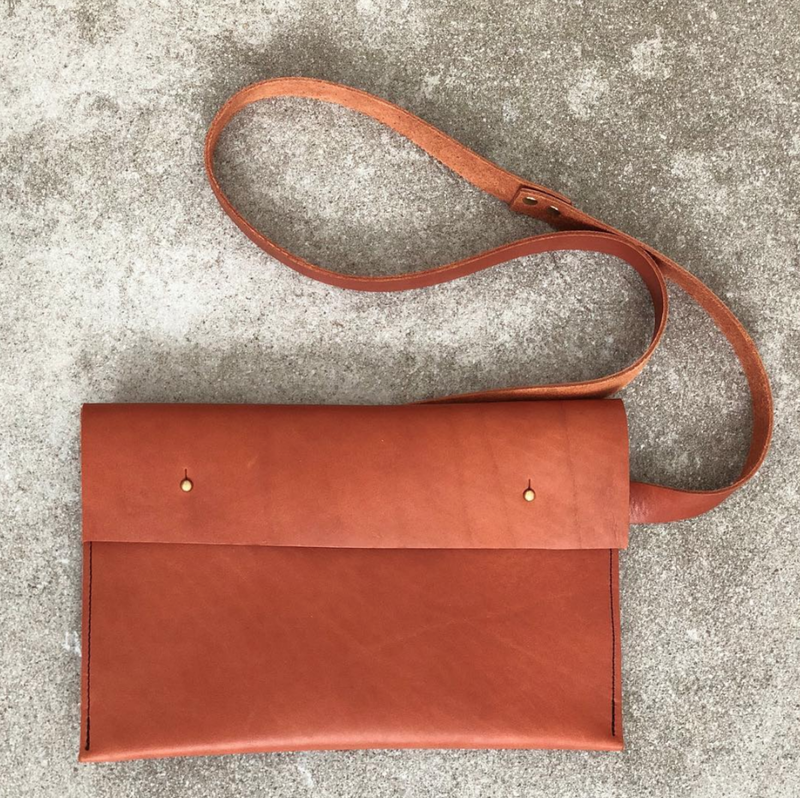 I got some scrap leather and a few prototypes later – voila! I had done it. I posted some images on Instagram that caught the eye of a buyer in Japan. She asked if I could make a few and she would shop them around Japan and see if there was any interest. That ended up with a small order of tassel keychains, earring and necklaces. I had a small taste of success and felt the urge to expand into other leather goods. I got busy making prototype after prototype of small leather wallets and bags and a design aesthetic started to form that I was really pleased with. 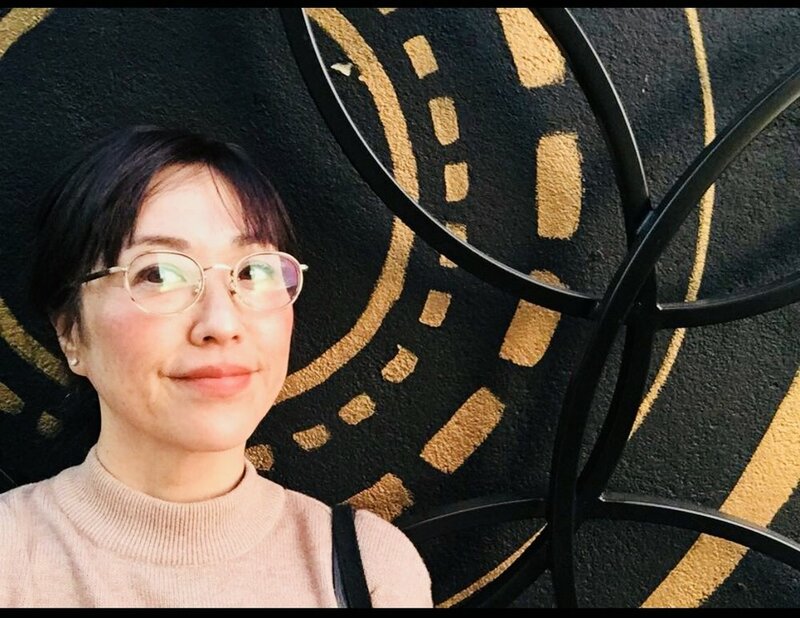 Instead of relying on a buyer, I started visiting local shops in Long Beach and Orange County that I thought my products would resonate with, and struck up conversations with the owners. I was lucky to meet some great people at stores like Peacock & Anneise and Kuarto in Long Beach and Daydream Surf Shop and Kit Coffee in Costa Mesa who were willing to sell some of my items and allow me to do pop up shops on site. I was born in Japan and I feel that my leather goods reflect the Japanese ideals of simplicity and quality. I want them to be timeless items that will last a lifetime. I’m not just motivated by profit, but rather the enjoyment of the artistic process involved in the creation of each piece. I’ve even started hand painting some of my smaller pieces as well – each one is completely unique. Knowing someone is using my creations and enjoying them is the greatest payment I get out of soba studio. I don't have a website, instead I prefer my IG as the main place to get in touch with me and to see my product line. My favorite product is my "maru" (circular card case) - the shape is unusual but simple and easy to find by touch when it is in a bag.